During the Bethesda E3 conference, A new Elder Scrolls game is coming to mobile and consoles, with a first-person perspective and "console-quality graphics," according to Todd Howard. 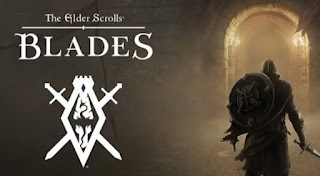 Elder Scrolls Blades has three modes; a roguelike dungeon crawl, a PvP arena, and a story mode based around rebuilding a town. The towns will be customizable to each player. Howard says that multiplayer will be entirely cross-platform, with someone on their phone being able to battle someone in VR playing from a PC. The game will be free-to-play and is available to pre-order. The game is said to release in the fall, but the listing on the Apple App Store says it will release on September 1, 2018. UPDATE 9/6/18 - According to the games App Store listing, the game will now release now December 1st.